The ongoing legal feud between Johnny Depp and his former managers at TMG—having previously reached such contentious milestones as “revealing Depp’s $30,000 a month wine habit,” “claiming he doesn’t bother to learn his lines” and even “outright accusations of domestic abuse”—has now reached the “going after family members” stage of bitter professional acrimony. Deadline reports that TMG has now added Depp’s nephew, his friends, and his sister to its countersuit against the movie star/former client. 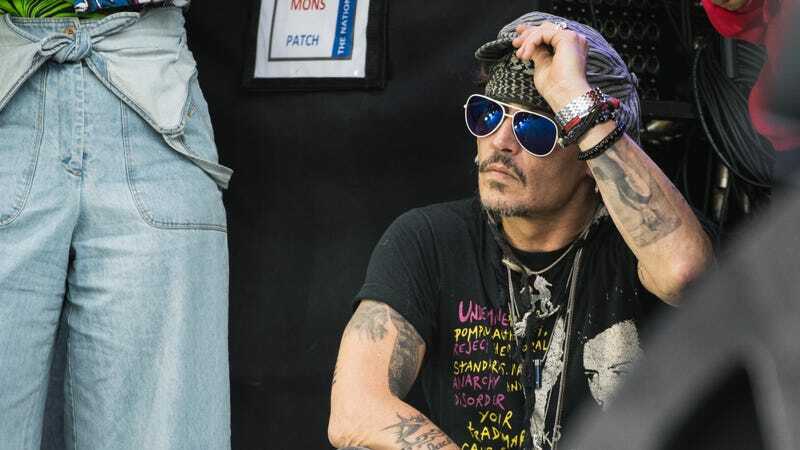 TMG justified the decision by noting that Depp had previously accused the management firm of distributing almost $10 million in unauthorized payouts to his friends and family (including his sister, Elisa Dembrowski, who serves as the actor’s personal manager). TMG’s case basically asks why the hell they’re being sued, when it was these various close associates of Depp who actually got the money. (The phrase “knowingly throwing his closest family, friends and employees under the bus” is used.) They also contend that the transfers were all authorized, either by Depp himself, or Dembrowski. According to the suit, Depp delayed revealing the names of the “unauthorized payments” for months, presumably to keep his sister and nephew out of the public eye.